Set in over 20 acres of tranquil parkland on the former Lytchett Manor Estate, this top quality campsite, caravan and camping park offers every modern facility in an idyllic location. 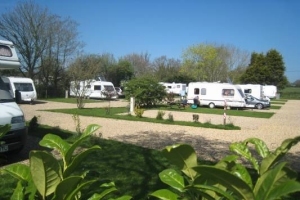 Superbly maintained and recently extended and improved by new owners, South Lytchett Manor Caravan and Camping Park is ideally suited to tents, caravans and motor homes. 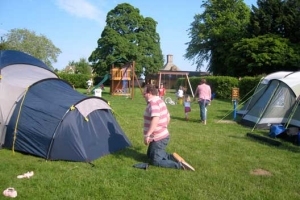 It has long been a firm favourite with caravanners and campers alike, many of who return year after year to enjoy the friendly and relaxed atmosphere on this family-run campsite. During 6 years of ownership, the owners have completely rebuilt or refurbished three new heated amenity buildings to a stunning high quality. 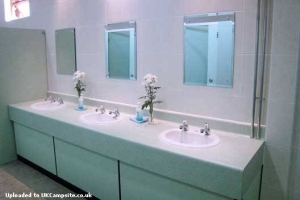 They offer excellent facilities including a family bathroom, fully compliant disabled bathroom, two family shower rooms, professional standard hairdryers and full length mirrors and piped music. Superb disabled shower room also available. These facilities are checked and cleaned throughout the day to ensure they are constantly at their best. 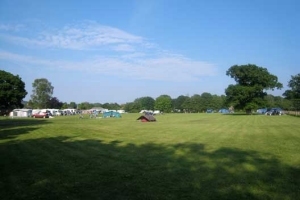 There are a choice of pitches including grass large level pitches and tent super pitches. Many "deluxe pitches" which include hard standings, own water, drainage, TV and electric hook up. The pitches also benefit from a picnic table and own dustbin. There is a well stocked shop, free range chickens, TV and games room, childrens playground and games field. It has excellent on and off lead dog walking areas in the meadows and pond and woodland area. There is free wifi access across the park. Microwave facility available. A Family and Dog Friendly pub is just 10 mins walk in village, directly accessible from the off lead dog walking field. The location is perfect for exploring Dorset, just three miles from Poole and nine miles from Bournemouth in the pretty Dorset countryside. Nearby are fantastic beaches, places of historical interest and activities for all ages. The Purbecks, Brownsea Island, Swanage and Bournemouth, Sanbanks and Kimmeridge are a short drive away. South Lytchett Manor is located on the outskirts of a village with village pub /restaurant within a 10 minutes walk. Guests on site receive a voucher for a free bottle of wine with two main courses. 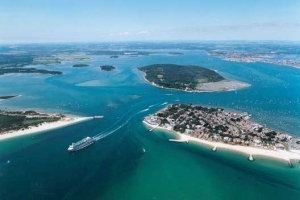 An excellent bus service runs from the gates to Poole and the Heritage Coastline. The adjacent Craft Centre also has a cafe/restaurant, ideal for breakfast lunch and afternoon tea. Local walks and cycle routes are most accessible from the park. South Lytchett Manor is open for bookings, so to find out more visit their website! 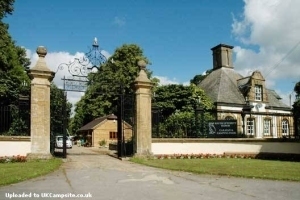 You'll find special offers, online booking and loads more information all about the site. Win a 3 night Stay ! We have teamed up with South Lytchett Manor Caravan and Camping Park and are giving you the chance to win a 3 night camping or touring pitch for 2 persons at South Lytchett Manor Caravan and Camping Park plus a £50.00 voucher for a meal, with a free bottle of wine at the local pub: The St Peters Finger. Click here to find out more and enter!